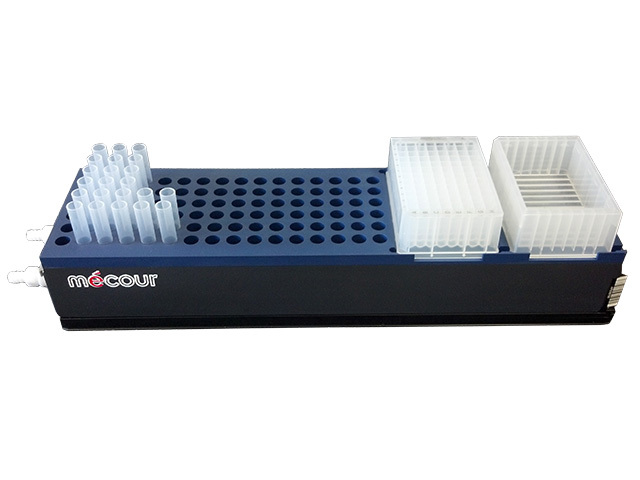 Above unit accommodates 15mL tubes and DWP and reagent reservoirs. Unit made to integrate with Hamilton STAR automated platform. MeCour will design such thermal units to fully support your automated applications.